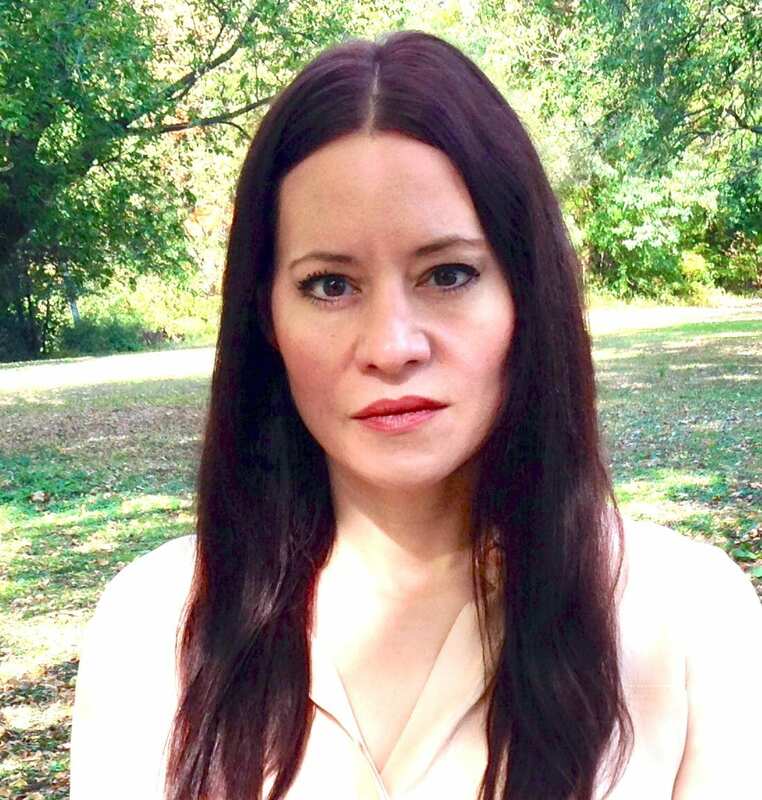 Jennifer Gosetti-Ferencei is Professor and Kurrelmeyer Chair in German at Johns Hopkins and holds a secondary appointment as Professor in Philosophy. Her research interests include Continental philosophy, particularly phenomenology, aesthetics and the philosophy of literature, cognitive literary theory, poetics, philosophy of imagination, and modernism, especially modern German literature. She has previously taught for modern languages departments in the UK (Oxford and Birmingham, at the latter of which she was Chair and Professor of German and Comparative Literature) and was for a number of years Professor of Philosophy at Fordham University, where she twice served as Director of Graduate Studies. She received the DPhil in German and MSt in European Literature from Oxford; MA and PhD in Philosophy from Villanova; and an MFA in Poetry from Columbia University. Gosetti-Ferencei’s research has included monographs on the philosophy of imagination, the construction of the exotic in German modernism, the relationship between the quotidian or everyday experience and ecstatic reflection in phenomenology, modern art and literature, and a critical reading of poetics in Heidegger and Hölderlin. Her work frequently explores the boundaries between philosophy and literature, poetic experience and cognition, and in addition to Hölderlin her work has engaged the writings of Rainer Maria Rilke, Wallace Stevens, Marcel Proust, Franz Kafka, Thomas Mann, and many other modernist writers. Her work in aesthetics has engaged the visual art of Paul Cézanne, Cy Twombly, Giorgio Morandi, Alfred Kubin, Georg Baselitz and Anselm Kiefer. 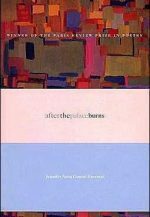 Her book of poetry, After the Palace Burns, won The Paris Review Prize. Gosetti-Ferencei’s most recent book, The Life of Imagination: Revealing and Making the World (Columbia University Press, 2018), is grounded in research in philosophy and a range of other disciplines, including cognitive theory, evolutionary anthropology, aesthetics and literary theory, and offers a new theory of imagination as both grounded in the wider cognitive ecology of our embodied life and engagement with the world, and affording its transformation and transcendence. 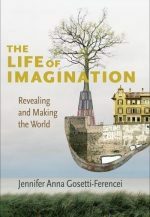 In contrast to a long tradition of philosophy that sequestered imagination from cognition proper, Gosetti-Ferencei demonstrates how imagination must be understood as multifaceted, shaping our ordinary experience as well as the heightened manifestations of creativity, such as in scientific discovery and artistic and literary creation. Among other accomplishments of the book is the development of an understanding of cognitive play (drawing from Kant, Schiller, Nietzsche, and Husserl), which show how creativity affords ‘situated transcendence.’ and in so doing both relies upon, and diverges from, the operations of ordinary thinking. 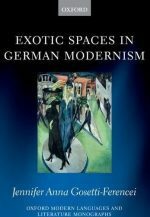 Previous works include Exotic Spaces in German Modernism (Oxford University Press 2011), in which Gosetti-Ferencei illuminates the construction of the ‘exotic’ in modern German literature. The rendering of exotic spaces, or spaces projected as such, is shown to enable forms of examination of the modern self and its relation to a foreign other, sometimes exploiting, otherwise destabilizing, colonialist or Eurocentric assumptions. She engages prose works of Hofmannsthal, Dauthendey, Hesse, Benn, Brecht, Kubin, Zweig, Kafka, and Thomas Mann, also mining the 19th century speculations of Nietzsche and other German philosophers as the theoretical foundation for modern literary challenges to the self and European modernity. 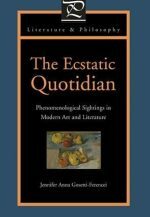 Reflection on the quotidian, or the everyday, in literature, art, and phenomenology comprises the subject of The Ecstatic Quotidian: Phenomenological Sightings in Modern Art and Literature (Pennsylvania State University Press 2007). Gosetti-Ferencei there demonstrates analogous structures of reflection in phenomenology, modern literature and visual art, in their respective defamiliarizations from everyday experiences, and engages the ideas of Nietzsche, Freud, Heidegger, Benjamin, Merleau-Ponty and Wittgenstein in conceiving the relation between the everyday and the ecstatic. 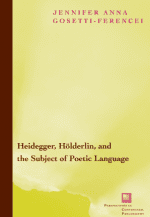 In her book Heidegger, Hölderlin, and the Subject of Poetic Language (Fordham University Press 2004), Gosetti-Ferencei reconstructs Hölderlin’s fragmentary poetic theory, and his theoretical and poetic responses to the ideas of Kant, Fichte and Schiller, in order to critically address Heidegger’s interpretations of the poet and their political entanglements. She demonstrates that Hölderlin’s poetics, while inspired by Enlightenment ideals, supports a theory of poetic subjectivity both tragic and analeptic in nature, a model which at once structures a reverent human relationship with nature and evades the problematic ontology of Heidegger’s notion of the history of Being. Gosetti-Ferencei’s current projects include monographs on existentialism, an introduction to philosophy of imagination, and on nature and ecology in modern literary thought, including in Hölderlin, Nietzsche, Kafka and Rilke. “Imaginative Ecology in Rilke’s Sonnets to Orpheus,” for Rainer Maria Rilke: Sonnets to Orpheus, ed. Hannah Eldridge and Luke Fischer (Oxford: Oxford University Press, forthcoming). “Nature and Poetic Consciousness from Hölderlin to Rilke,” in Harmonisch entgegengesetzt: Hölderlin’s Philosophy of Nature, ed. Rochelle Tobias (Edinburgh: Edinburgh University Press, forthcoming). “Distributed Cognition in Modern Poetry and Painting: Rilke and Cézanne,” in History of Distributed Cognition: Modernism, ed. Miranda Anderson (Edinburgh: Edinburgh University Press, forthcoming). “Language, World, and Animality: Between Derrida and Heidegger,” Understanding Derrida, Understanding Modernism, ed. Jean-Michel Rabaté (London: Bloomsbury Academic, forthcoming). “Nietzsche’s Cognitive Ecologies,” in Anti-Idealism, Anti-Classicism, ed. Gert Hoffman (Berlin: de Gruyter, forthcoming). “On Literary Understanding,” Varieties of Understanding, ed. Stephen Grimm (Oxford: Oxford University Press, forthcoming). “On Philosophy and Poetry,” Palgrave Handbook of Philosophy and Literature, ed. Barry Stocker (New York: Palgrave, 2018). “Phenomenology and the Imagination of Modernism,” in Understanding Merleau-Ponty, Understanding Modernism, ed. Ariane Mildenberg (London: Bloomsbury Academic, 2018). “Muerte y autenticidad. Reflexiones sobre Heidegger, Rilke y Blanchot,” trans. J. Daniel González Marín, Andamios Vol. 14, no 33 (enero-abril 2017) pp. 123-148. “The Imagination of Animals: Rilke, Kafka, and the Philosophy and Literature of Embodied Cognition,” in The Animal Inside: Essays at the Intersections of Philosophical Anthropology and Animal Studies,’ ed. Geoffrey Dierckxsens et al (Lantham, MD: Roman and Littlefield, 2016). “Radnoti, Blanchot, and the (Un)writing of Disaster,” Comparative Literature and Culture 17.2 (June 2015). “The Mimetic Dimension: Literature Between Neuroscience and Phenomenology,’ British Journal of Aesthetics, vol. 54, no. 4 (October 2014), 425-448. “The Tragic Dimension in Modern German Painting,’ A Companion to Tragedy in German Literature, Art, and Thought, ed. Stephen Dowden and Thomas Quinn (Rochester, NY: Camden House, 2014). “Death and Authenticity: Reflections on Heidegger, Rilke, Blanchot,” Existenz, 9:1 (Spring 2014). “The World and Image of Poetic Language: Heidegger and Blanchot,” Continental Philosophy Review 45:2 (2012). “Writing in Philosophy and the Literature and Philosophy of Writing (Plato, Mann, Blanchot)’ in Philosophy, Literature, and the Crisis of Metaphysics, ed. Sébastian Hüsch (Würzburg: Königshausen & Neumann, 2011). “Immanent Transcendence in Rilke and Stevens,” The German Quarterly 83:3 (Summer 2010). “The Poetics of World: Sources of Poetic Theory in Heidegger’s Phenomenology of Religious Life,” in A Companion to Heidegger’s Phenomenology of Religious Life, ed. Andre Wiercinski and Sean McGrath (Rodopi Press, 2010). “Foreshadowings of the Kafkaesque in Alfred Kubin’s Drawings,” Hyperion: On the Future of Aesthetics vol. III, no. 4 (December 2008). “Interstitial Space in Rilke’s Short Prose Works,” The German Quarterly 80:3 (Summer 2007). “The Poetics of Thinking: Heidegger and Hölderlin,” in Literature and Philosophy: A Guide to the Contemporary Debates, ed. David Rudrum, (New York: Palgrave/Macmillan, 2007). “Between Animality and Intellection: Phenomenology of the Child-Consciousness in Proust and Merleau-Ponty,” Analecta Husserliana: The Yearbook of Phenomenological Research vol. 93 (2007). “Language and The Flesh of Being: Merleau-Ponty and Kristeva,” in Interrogating Ethics: Essays on Merleau-Ponty, edited by James Hatley (Pittsburgh: Duquesne University Press, 2006). “Articulate Spontaneity and the Aesthetic Imagination,” Analecta Husserliana: The Yearbook of Phenomenological Research, vol. 92 (2006). “Moral Sentiment and the Ethics of Representation in Holocaust Literature,” Analecta Husserliana: the Yearbook of Phenomenological Research, vol. 84 (2006). “Trompe l’Oeil and the Mimetic Tradition in Aesthetics,” Analecta Husserliana: The Yearbook of Phenomenological Research, vol. 87 (2006). “Confirmations of Life in a Phenomenology of the Poetic Image,” Analecta Husserliana: The Yearbook of Phenomenological Research, vol. 83 (2004). “The Aesthetic and the Poetic Image: Beyond the Ekphrastic Divide,” Philosophy Today, vol. 29 (Summer 2003). “Phenomenology of the Mysterious: A Reading of Rilke’s Sonnets to Orpheus,” Phenomenological Inquiry vol. 26 (Fall 2002). “Ash in the Clouds: Unearthing Goethe,” in Literary Imagination: Review of the Association of Literary Scholars and Critics, 4:3 (2002). “Tragedy and Truth in Heidegger and Jaspers,” International Philosophical Quarterly 42:3 (Fall 2002). “Phenomenological Literature: From the Natural Attitude to ‘Recognition,’” Philosophy Today, vol. 45 (Summer 2001). “The Ecstatic Quotidian: Literary Phenomenology in Sartre and Rilke,” Journal of the Association of the Interdisciplinary Study of the Arts, 7:1 (2001). “Figures of the Feminine in Heidegger’s Theory of Poetic Language,” in Feminist Interpretations of Heidegger, edited by Patricia J. Huntington and Nancy Holland (College Park: The Pennsylvania State University Press, 2001). “Revolutions in Language: Hölderlin to Kristeva,” International Studies in Philosophy, XXXII:1 (1999). “Language and Subject in Heidegger and Kristeva,” Philosophy Today (SPEP supplement, vol.43, 1999). “The Poetic Politics of Dwelling: Hölderlin, Kant, Heidegger,” International Studies in Philosophy, XXXI: 1 (1998). Friedrich Nietzsche: A Companion to His Life and Works, ed. Paul Bishop, Modern Language Review vol. 110, part 4 (October 2015). The Cambridge Companion to Rainer Maria Rilke, ed. Leeder and Vilain, Modern Language Review (Spring 2012). Julian Young, Nietzsche: A Philosophical Biography, Modern Language Review (Summer 2012). Michael Cowan, Cult of the Will: Nervousness and German Modernity, Modern Language Review (Spring 2010). Wolfgang Detel, Foucault and Antiquity, International Philosophical Quarterly (Spring 2006). Martin Heidegger, Phenomenological Interpretations of Aristotle, Review of Metaphysics, vol. 57: 3 (March 2004).